Teaching in Thailand as a Projects Abroad volunteer will give you a new perspective on this incredible country. 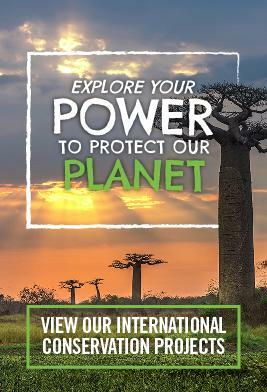 Whether you are volunteering during your gap year, career break or on an extended holiday, you will have a role to play on one of our Teaching projects and your efforts will be greatly appreciated. You can gain practical work experience as an English teacher in Thailand without a TEFL qualification and with no previous teaching experience. Thailand has a long and well-deserved reputation as a country popular with tourists and travellers from all corners of the globe. However, the majority of Thai people benefit very little from the tourist dollars entering the country. Speaking English is a route to better jobs and you can help to improve students’ prospects. Our voluntary Teaching placements in Thailand are situated in the town of Krabi and the surrounding region. Krabi is situated about an hour's flight south of the capital of Bangkok on the west coast of Thailand. 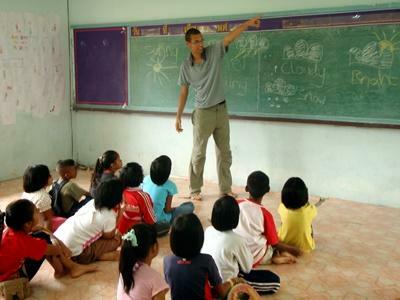 Most volunteers work in government primary schools in Thailand with children aged from about 7 to 12 years old. The schools vary in size, from small sub-district schools up to much larger schools with more facilities. On average there are between 20 to 30 students per class, but some schools may have classes as small as 12 students and others have classes with up to 40 children. It is possible to work in a secondary school on request; here the children will be from about 13 to 16 years old. If volunteers join for one, two or three weeks, you can only take part in the Teaching project between March and May or September and October. 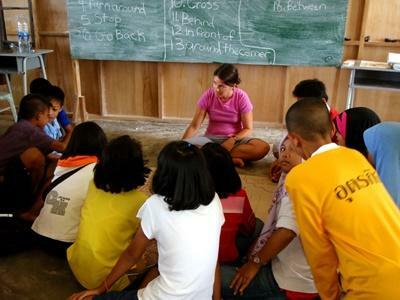 Teaching volunteers in Thailand are expected to be at school from about 8.30am to 12.30pm. You will usually be formally teaching for between about 2 and 3 hours a day, plus most volunteers spend another 8to 10 hours a week lesson planning. In many Thai schools you will often lead the class, which is why planning ahead is especially important. However, in some schools volunteers work more closely alongside the local teachers. Even if your first class of the day does not start till 9.30am it is important to be at the school in the morning to take part in singing the national anthem and respecting the flag. When you are not teaching a class you can be planning lessons, marking work and getting to know the other Thai teachers. Thai students are generally dedicated and hardworking, and respond well to the arrival of a new face. Thai culture ensures that they are especially respectful to teachers in general - although children are still children. The younger children enjoy the fun elements that our volunteer teachers often inject into lessons; activities like songs and games will be well received. The local teachers are often good at teaching the grammar and structure of the English language but when it comes to speaking many lack confidence themselves and won’t have good pronunciation skills. As a volunteer teacher, you can help to fill this gap by focusing on speaking and developing the confidence of the students. The older students are often keen to find out about Western culture and you should take advantage of this to encourage them to develop their English skills with you. If you have an interest in football they will want to know which team you support and what you think about their latest results! A popular lesson may be teaching a class how to sing one of the latest pop songs from the west and helping them to understand the lyrics. However, this age group will be working towards set exams and you will often have a curriculum to follow. You may also get asked some grammar questions from time to time. If you want to get involved outside the classroom, previous volunteers have set up an English club or helped with sports. Please tell us your main interests when you apply and we will try to accommodate you. The schools in Thailand have their main holidays from about mid-March to mid-May, with a shorter holiday from the start of September to the start of November. During these times we organise a variety of holiday programmes including basic English lessons, fun educational activities in Krabi and adult English classes in the local community. Our Teaching Coordinator in Thailand runs fortnightly workshops for all the Teaching volunteers, to share ideas and cover useful teaching techniques. You will also receive an introductory Teaching in Thailand workshop, before your first lesson, which will familiarise you with the Thai teaching system and cover some useful cultural information. If you have qualifications or experience in this field then we can make use of your skills. Read more about the opportunities for skilled volunteers in Thailand. You can read more detailed information about the aims of the project in our Thailand Teaching Management Plan. Interested in other volunteering opportunities? What about teaching in Vietnam?